We asked Jess to come in soon, she said 'I'll Be There'! 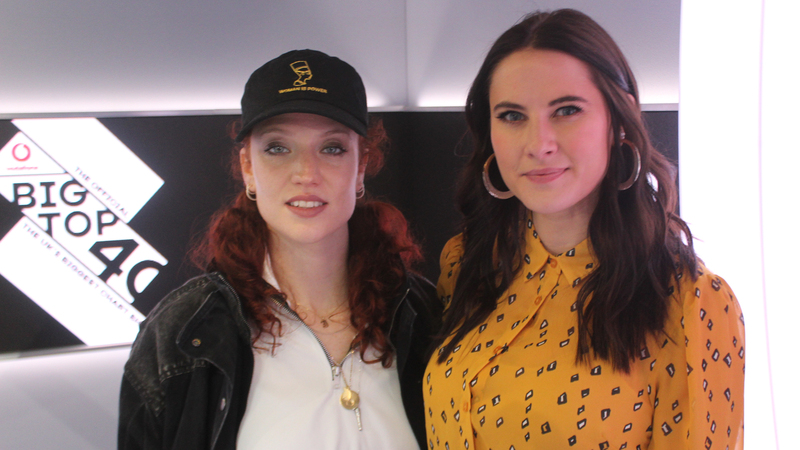 Jess Glynne is undoubtedly the queen of The Official Vodafone Big Top 40 with more No. 1's that you can shake a stick at. So with her new single 'I'll Be There' riding high in the charts, we just had to get her in to tell us all about it. Jess revealed that the song came about on the very last day of a writing holiday. The singer headed off into the countryside with a few musical mates and came back with a massive hit! Jess also discussed what it was like working with Rudimental on The Official Vodafone Big Top 40 No. 1 single 'These Days'. We tried to squeeze out as much album news out of Jess as possible but the singer wasn't able to give too much away as the album title and release date haven't been decided yet. She did reveal that there probably won't be any collaborations on the record though. It's Jess Glynne... whenever it does come out, you know it'll be big! > Where did 'I'll Be There' get to on this week's chart? See the full Top 40!